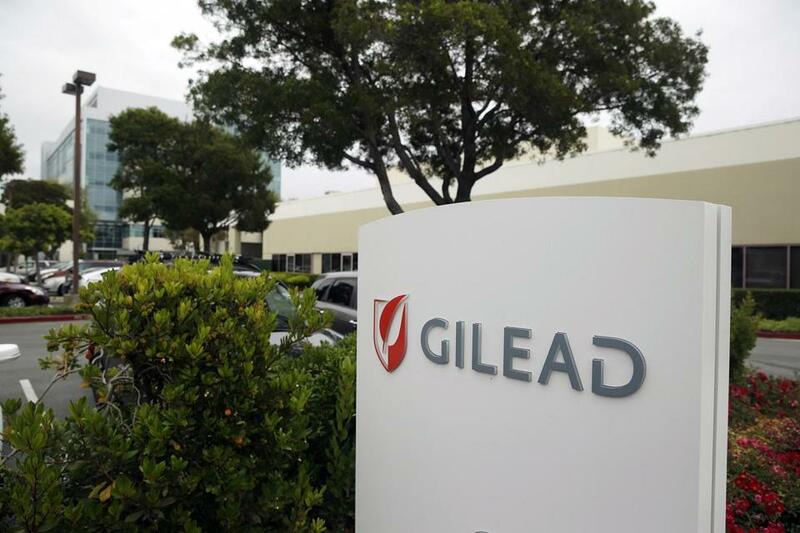 Gilead Sciences Inc. is based in Foster City, Calif.
Massachusetts Attorney General Maura Healey, opening a new front in the push to boost access to life-saving drugs, has warned the country’s biggest biotech company that it faces possible legal action unless it lowers the price of two popular hepatitis C medicines. In a letter to Gilead Sciences Inc., made public Wednesday, the attorney general wrote that the high price of the company’s Sovaldi drug, $84,000 for a full 12-week course of treatment, and its Harvoni regimen, at $94,500, “may constitute an unfair trade practice in violation of Massachusetts law” because they are too expensive for many patients. Healey’s letter said her office was looking into bringing a complaint against the Foster City, Calif., company. While other state attorneys general have sued drug makers to seek larger Medicaid rebates or discounts, her office is believed to be the first to consider using a state consumer protection law to charge a company with overpricing its products. Gilead spokeswoman Amy Flood said the company has received Healey’s letter and requested a meeting to discuss the issues it raises. “We look forward to working with [Healey’s] office to address questions and concerns and ensure a mutual understanding of the work we are doing to deliver a cure for hepatitis C to as many patients as possible in Massachusetts and around the world,” she said in a statement. In an interview, Healey said that her letter targets Gilead because it is the dominant seller of hepatitis C drugs and because they treat a low-income population heavily insured by state agencies. Infection rates for hepatitis C, a liver-ravaging virus, are believed to have increased in recent years because the national heroin epidemic has led to more exposure through needle sharing. The attorney general said she also wanted to open a broader discussion about the responsibility of drug makers to ensure access to their products, as well as about the impact of rising drug prices on health care spending. MassBio president Robert Coughlin said his organization has formed a working group with representatives of health insurers and the Institute for Clinical and Economic Review, a Boston-based watchdog group, to advise public officials on new ways to price prescription drugs. He said the current model of paying to manage chronic diseases is outdated, and new health care payment models should recognize the long-term cost savings of therapies like those for hepatitis C, which prevent costly liver transplants and hospitalization. In other words, the industry argues, expensive drugs save money by curing costly diseases. Gilead’s treatments have cured more than 95 percent of the hundreds of thousands of hepatitis C patients who have taken the drug. But fewer than 10 percent of the estimated 2.7 million to 3.9 million Americans infected by the virus have been treated. The drugs’ high price tags have placed a burden on state agencies across the nation that pay for care of a large share of patients suffering from the virus. That includes prisons and state Medicaid programs, which collectively spent $1.3 billion on Sovaldi alone in 2014. In Massachusetts, the Medicaid program, known as MassHealth, and the managed care plans it contracts with paid about $160 million in the fiscal year ended in June for thousands of members who took hepititis C drugs, according to the state Executive Office of Health and Human Services. Commercial insurers in the state have also paid more than $100 million over the past two years. “Because Gilead’s drugs offer a cure for the serious and life-threatening infectious disease, pricing the treatment in a manner that effectively allows [hepatitis C] to continue spreading through vulnerable populations, as opposed to eradicating the disease altogether, results in massive public harm,” Healey wrote in her letter to Gilead. Govenor Charlie Baker, who had promised to “jawbone” Gilead to reduce its prices last year, conceded Wednesday that those efforts had failed. He said Healey’s letter appeared to make a “compelling case” and said he would reach out to see if his administration could help. “There are very few people who have had luck to date in jawboning [Gilead],” Baker said at a State House press conference to discuss the state’s budget. The governor is proposing a 5 percent increase, to $15.4 billion, next year in the state’s budget for MassHealth. Some critics saw a political motivation in Healey’s action as a national backlash against rising drug prices — fueled in part by Democratic presidential candidates — intensifies. Lora Pellegrini, president of the Massachusetts Association of Health Plans, a trade group for health insurers, said she welcomed Healey’s action. Prescription drugs, Pellegrini said, account for about 16 percent of the state’s total health care spending and are a particular burden for insurers. Gilead shares fell 2.8 percent to $89.63, on a day when many biotech stocks were down. Healey said an unfair business practice complaint against Gilead would be warranted under the state consumer protection law if her lawyers concluded the company had priced its drugs to boost profits even if some patients couldn’t afford the drugs. A recently published investigation by the US Senate Finance Committee found that Gilead “pursued an aggressive pricing strategy aimed at maximizing revenue — not fostering access” to all patients needing the drug, Healey’s letter said. It said Gilead had revenue of $20.6 billion from the drugs, after rebates to insurers, in the first 21 months after they went on the market.